Mentoring and educating children takes strong leadership and courage to guide them toward success. On February 27 - March 1, the 79th Kentucky School Board Association's (KSBA) annual conference will kick off with a focus on those areas. The 2015 KSBA Annual Conference "Kentucky Public Schools: The Courage to Lead" is coming to the Galt House in Louisville and will provide an opportunity for those in the education field to network with colleagues from across the state and participate in informative workshops and sessions that focus on service in the education field. The mission of the KSBA is to enhance leadership in maximizing student achievement through superior support and services in order to build more successful students and stronger communities. Through educational and informative sessions with topics ranging from promoting school readiness to dealing with difficult people in the workplace, these sessions are designed to educate those striving to help support the educational goals of children. Toadvine is proud to be an attendee and exhibitor for this conference. We invite you to visit our booth to find out more about how we can help supply all of your school's athletic needs. 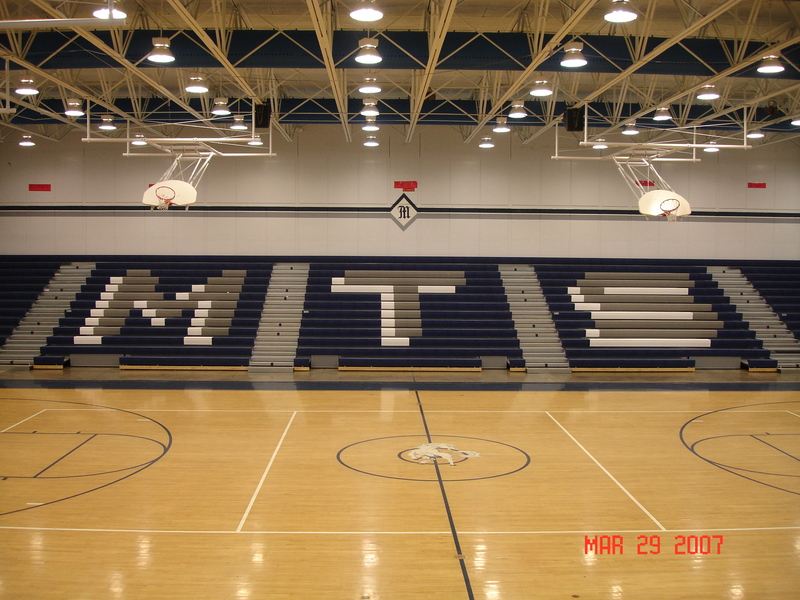 Bleachers are the most affordable form of mass seating and are used by schools around the country. However, this type of seating can come with a larger price tag if not maintained properly. With schools getting older and budgets sometimes getting smaller, bleachers in gymnasiums and stadiums are oftentimes ignored and do not go through necessary safety and maintenance checks. While the seating in your school remains the same, safety requirements continue to change. Over 15,000 children under the age of 15 are injured each year by bleacher seating. 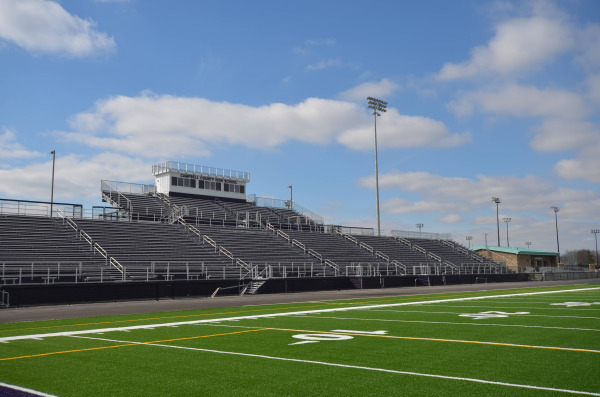 This has prompted many state lawmakers to publish guidelines on retrofitting and updated existing bleachers to help lessen this number and prevent children from injury. These guidelines include a required maintenance inspection every year to ensure that your indoor or outdoor seating is safe and up to current regulations. If an accident were to occur on your indoor or outdoor bleacher seating, your school could be found liable for negligence. If a public school has events, such as sporting or music events that require school seating to be used, then the premises of the public event could be found liable. In a case where a school is privately owned, the owner of the property could be liable of an accident. In order to protect your school from liability issues and, more importantly, ensure the safety of your students, you have to make sure your bleachers are regularly maintained. When was your last inspection? Are you due for another one? Toadvine Enterprises offers a maintenance and inspection program that takes the hassle of maintaining bleachers off of schools. Toadvine also offers yearly contracts to ensure that you never miss a required inspection. Learn more about our Vine & Branch maintenance and inspection program here. Even though books are packed away and studying has been put on hold for a few weeks, student athletes are scoring big on the soccer practice field this summer and gearing up for a busy sports season. As your team swings into action this summer, it's time to consider how you will accommodate your team's fans when the competition heats up. Toadvine Enterprises has everything you need to equip, outfit and prepare your soccer team for competition, and when it comes to outdoor seating for your team's fans, we have that covered, too. We have completed many high-profile outdoor seating projects and have been providing bleacher seating to fans in Kentucky, Ohio, Indiana and Tennessee for more than 30 years. 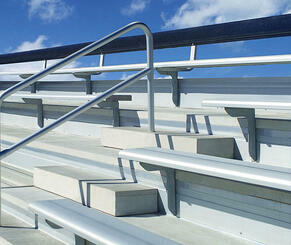 We take pride in offering top-of-the-line soccer bleachers along with exceptional customer service. If you would like to add outdoor seating to your facility, consider our Alum-a-Stand Elevated and Non-elevated bleachers. Elevated aluminum bleachers are the perfect addition to any sports field for home and visitor seating. Non-elevated bleachers are great for any event that requires just a few rows of outdoor seating. We can also set you up with Press Boxes, custom seating finishes, multiple railing options and more. We customize your facility to fit your vision and your budget. Fill out the form here and one of our seating professionals will contact you to discuss your individual needs. Our "goal" at Toadvine Enterprises is to help you customize your soccer seating from start to finish so that you score big with all the fans. The match between the Cards and the Cats in the Sweet 16 wasn't the only heated event to hit the hard wood this basketball season. At Toadvine Enterprises we understand that stiff competition can leave fans on the edge of their seats, literally, and when their enthusiasm explodes you need an arena that's equipped for those crazed fans and rowdy events. Whether your indoor arena will need to accommodate competing rivalries or more sophisticated assemblies, Toadvine has a variety of seating options to fit your needs. Here are some of the various seating options you can choose when designing or updating your facility. Telescopic Systems. This is our most popular type of seating and is designed to offer flexibility to fit a variety of facility configurations. The forward folding bleacher systems open in the forward direction and utilize either free-standing floor attachments or wall attachments. The reverse fold telescopic system is helpful when space behind the bleachers is desired for other activities when the bleachers are not in use. The recessed system of seating requires a minimal clearance to fit conveniently under a balcony overhang and maximizes usable floor space as bleachers are stacked. Mobile systems, or single sections of bleachers, can be used in one part of the building and stored in a completely different area. 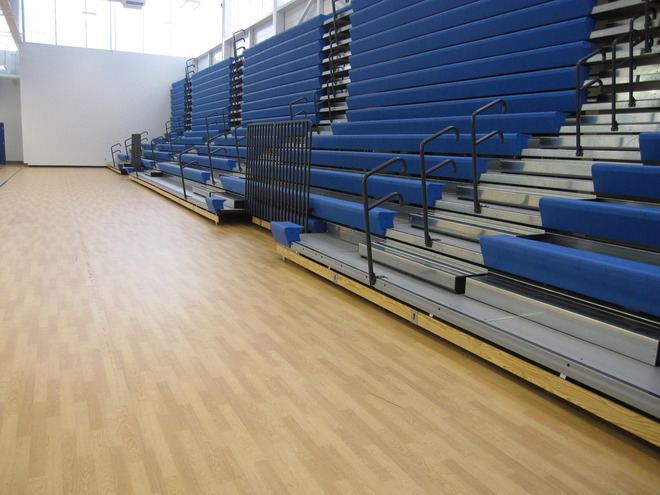 Free-Standing Floor-Attached Systems are utilized where bleachers are required to be located away from walls or when wall construction prohibits attachment. Sculptured Seat Modules. These one-piece, injection-molded, high strength polyethylene seats are made with molded-in solid color which will not fade or wear out. These seats are easy to maintain and will not wear out. They will not stain or splinter. Contoured Seat Modules. For added comfort, appeal, and endurance, this seating is hard to beat. These waterfall designed seats are highly functional and visually appealing. The angled seats allow for 30% more leg room than competitive products which allows fans and spectators to move legs more freely. ComfoBack. For a luxurious seating option, the ComfoBack seating is ergonomically designed for maximum spectator comfort. The backrest on this seat provides superb comfort and convenience for facility personnel with a fast and effort-free set-up. Classic Wood. For the more traditional type arena, this sleek wooden bench seating, constructed of southern yellow pine, is the standard in the telescopic industry. These wood seats and front riser boards are finished in classic style to enhance the appearance of your arena. Platform Chairs. The platform chair is a great way to meet the needs of a diverse, multi-purpose facility. The platform and PC chair combination is perfect for any auditorium, sports arena, or assembly hall where you might need more comfortable seating with more space between rows. Stadium Chairs. For maximum performance and durability, the stadium chair is designed for ergonomic comfort and outstanding appearance and is manufactured using world-class technology. To enhance your indoor arena and add a touch of style and color, the stadium chair is the perfect choice. Whatever crowd you need to serve, Toadvine has all the seating options that your indoor arena could need and will leave fans and spectators on the edge of their seat when you design your facility with versatile, quality seating from Toadvine. For a quote on your indoor arena seating, contact us here. Whether you are purchasing bleachers to add that final finishing touch, or you want to keep your facility safe and secure, it is important for all sports facilities to check with their local code officers to be sure that any bleachers they purchase will meet recent safety regulations. Code sometimes dictates a handrail in order to comply with local code regulations. There have been instances recently of sports facilities upgrading their entire bleacher seating system simply because the railings did not meet the latest code. Insurance companies and risk management will require that. Fold and Stow Center Aisle Hand Rails. No tools required. Stores on the deck in closed position and rail rotates and snaps into place. Self-Storing End Rails. These stylish rails are designed to meet the most stringent codes for rail loading and sphere passage. Fixed Front and Rear Rails. These rails are an ideal solution for truncations, elevated front aisles, free standing, portables and reverse fold systems. Center Aisle Hand Rails. Safety rails in this system include fixed, folding and removable options and feature a fully closed, safe design. Contact Toadvine and let us quote you a price on adding rails to your sports facility. After completing a stadium system, any of the aluminum and steel components, including rails, fences, benches, risers, and treads, can be finished with a variety of coatings and technologies, or they can be left unfinished. There are a variety of finishing options available and Toadvine Enterprises can help you select which type of finish or coating is best for your stadium project and your budget. 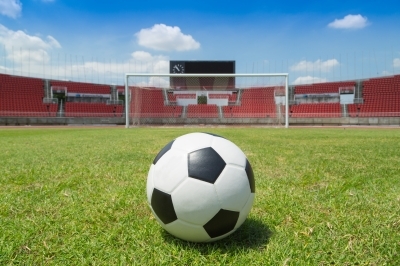 Steel finishing is often used in stadiums for support structures, fencing, or railings. Galvanizing is also done to enhance the look and durability of the steel when it makes sense. Chain link fencing can also be enhanced through vinyl coating. Aluminum coating is a cost-effective way to finish off a walkway. Traction finishes can also be added to make tread extrusions more slip-resistant. Anodized aluminum can help protect other surfaces from temporary stains, while painted aluminum brings a more high-impact colorful addition to risers, backrests, fences, and rails. For more information on how Toadvine can help meet your facility's needs, fill out our Bleacher Quote form and a member of our team will contact you with a free quote. Hybrid Precast Stadium Systems are a patented product by Dant Clayton that provides the benefits of a complete concrete stadium at a significantly reduced cost. Today's sports facilities must accommodate the needs of athletes, fans, teams, VIPs and owners, all while maintaining tight budgets. By using concrete in a facility, the spectator experience is maximized, but sometimes that comes at a cost outside the project budget. This evolutionary design maximizes the spectator experience and satisfaction, with the benefits of a concrete stadium without the cost of one. Contact Toadvine to find out how your facility can be converted into a revolutionary stadium at a budget-friendly cost. From portable bleachers to bleacher solutions that accommodate high school and collegiate outdoor facilities, the Alum-A-Stand bleacher seating system is engineered for maximum strength and durability and can be configured to a wide variety of applications. Powder coated riserboards offer enhanced aesthetics from the front and rear of the bleacher. All aluminum construction eliminates the risk of rust. Construction with bolted extrusions, containing no welded parts susceptible to breakage. 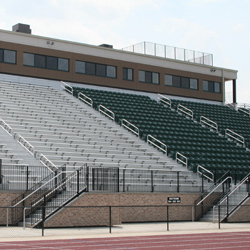 There are many advantages to choosing the Alum-A-Stand bleacher seating as opposed to the conventional angle frame bleachers, but the most significant advantage is the all aluminum tube and channel under-structure that makes this system five times stronger and 10 times stiffer than conventional bleachers. The bolt-through seat boards and snap-into-place footboards eliminate the hassle of using clips to fasten the footboards and seat boards. This bleacher gives you a true fully-closed bleacher deck and aisle way with no openings which allows for maximum safety for spectators. 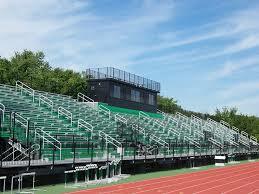 The Alum-A-Stand bleacher has been labeled, "the safest, most durable bleacher seating or grandstand available." Click here to request a quote or to learn more.